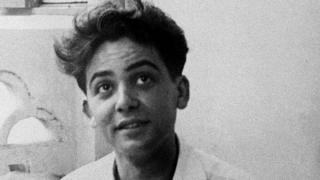 France has admitted responsibility for the torture and killing of a communist activist in Algeria over 60 years ago. Maurice Audin, 25, was working as a mathematician at the University of Algiers when he was arrested in 1957. In a rare admission on Thursday, French President Emmanuel Macron said Audin had either been tortured to death or tortured and executed during French colonial rule. Algeria gained independence from France in 1962 after a bloody seven-year war. Audin was one of the few Europeans in the country to support Algerian calls for independence when he disappeared during the Battle of Algiers. He was married with three children. President Macron is due to pay a formal visit to Audin’s widow on Thursday, as well as to open the archives “on the subject of disappeared civilians and soldiers, both French and Algerian”. In a visit to Algeria in February 2017 while still a presidential candidate, Mr Macron described colonialism as “a crime against humanity”. Later the same year, however, he ruled out reparations for any crimes committed under colonial rule. The Algerian war has left a long shadow in both France and Algeria. Over 1.5 million Algerians are thought to have died and it is only in recent years that Paris has begun to acknowledge some instances of abuse from the conflict. In September 2016, then President François Hollande admitted France’s role in the suffering of tens of thousands of Algerian soldiers who fought for France, known as harkis, and who were left without protection at the end of the war. Many of those who remained were brutally killed in reprisal attacks. He specifically mentioned the “responsibility of French governments in the abandonment of the harkis, the massacres of those who remained in Algeria and the inhumane reception of those transferred to France”. Eleven years earlier, France’s ambassador to Algeria apologised for the Sétif and Guelma massacre in 1945, when French police killed at least 1,000 Algerians after deadly attacks on settlers in the area. It is seen by some historians as a key moment leading to the war that broke out nine years later.